The PLUTO-2 phase only Spatial Light Modulator (SLM) consists of a driver unit with standard digital video interface (HDMI) and a phase only LCOS (Liquid Crystal on Silicon) microdisplay with full HD resolution (1920 x 1080 pixel) and 8 µm pixel pitch leading to an active area diagonal of 0.7” with aspect ratio of 16:9. The PLUTO-2 SLM is a plug & play phase modulator device and can be addressed with phase functions via standard graphics cards as an extended monitor device. The green color channel of the video signal is used for addressing 8 bit gray level patterns (the SLMs native resolution need to be addressed). 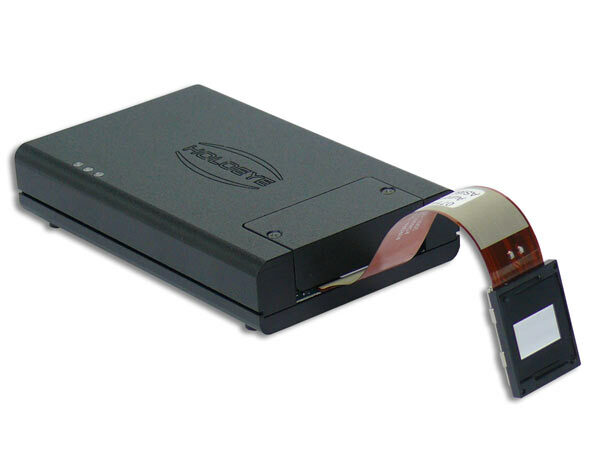 Addressing can be done using the supplied Pattern Generator software or the SLM Slideshow Player software or standard image viewer software. HOLOEYE also provides an SLM Display Software Development Kit (SDK) which provides APIs (Application Programming Interface) for different programming languages. 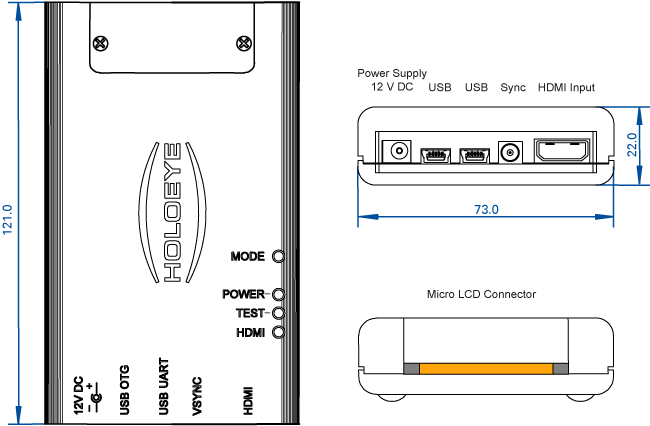 HOLOEYE offers different display versions that can be driven with the PLUTO driver unit. The different panel versions are optimized for the use at different wavelength ranges and different applications. All versions use fast full digital addressing which assures high reliability and a compact driver unit as basically only two voltages need to be generated. The PLUTO-2 driver uses an HDMI interface for addressing phase functions and an USB connection to communicate with the driver (to changing the voltage vs. gray level distribution (gamma control) and dynamic range (voltage across the LC cell) in order to calibrate the SLM for different wavelengths). Besides this the driver features a trigger sync output to synchronize the device with external devices. The PLUTO-2 driver also features a dual-core ARM® Cortex™-A9 processor which also includes on-chip memory. This enables the user to program additional functionality which is directly processed on the PLUTO-2 device (e.g. a slideshow from images which are loaded from USB flash or from internal memory). The dual-core system runs an embedded Linux™ SMP operating system and includes a library which provides full control and supervision of the display and driver board. The PLUTO-2 provides access through Serial and Ethernet-over- USB2 (RNDIS) interfaces and can be programmed using standard Ubuntu™ cross compile GCC toolchain. The standard PLUTO displays show a reflectivity of approx. 65%-95% (dependent on version) and diffraction efficiencies of more than 80%. Thereby a total light efficiency of more than 50% per addressable diffractive device is possible. Besides the standard PLUTO-VIS and PLUTO-NIR versions there are special high retardation versions available (-HR versions) which show a considerably higher phase retardation compared to the standard panels which enables more stable addressing or mod 4π respectively mod 6π phase functions to be addressed. This can be beneficial for wave front functions as this enables higher slopes and can reduce transition points in the addressed function compared to mod 2π encoding. The pulse code modulation for digitally addressed devices leads to a slight superimposed phase flicker. For some applications a stable phase response is required. This can be accomplished driving the high retardation panels with low voltage settings for 2π phase retardation, however compromising the response time. Some PLUTO SLM display versions are equipped with a dielectric mirror coating to increase the reflectivity to >90%. 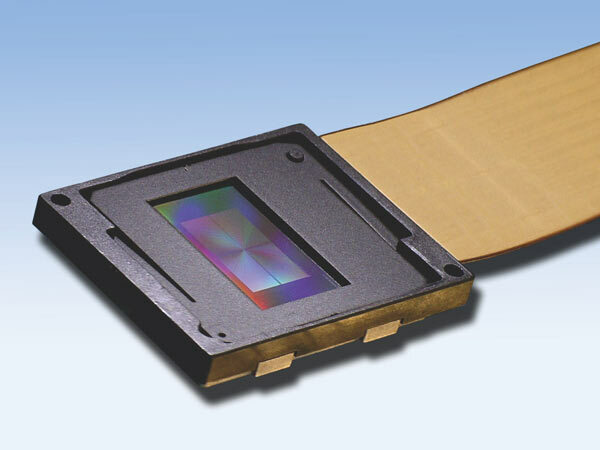 Due to the increased reflectivity less absorption occurs and these display versions can be used with higher incident laser power compared to the standard versions. The PLUTO phase only modulator devices can simply be addressed like an external monitor using the standard DVI / HDMI interface of the graphics card. No additional software or dedicated hardware is needed to operate the SLM. The device is delivered with a Configuration Manager software. The Configuration Manager can be used to change geometrical settings, brightness, contrast and the electrooptical response by applying a new gamma curve or another digital drive scheme. For these advanced callibrations device uses an USB connection ti a virtual COM port of the computer.